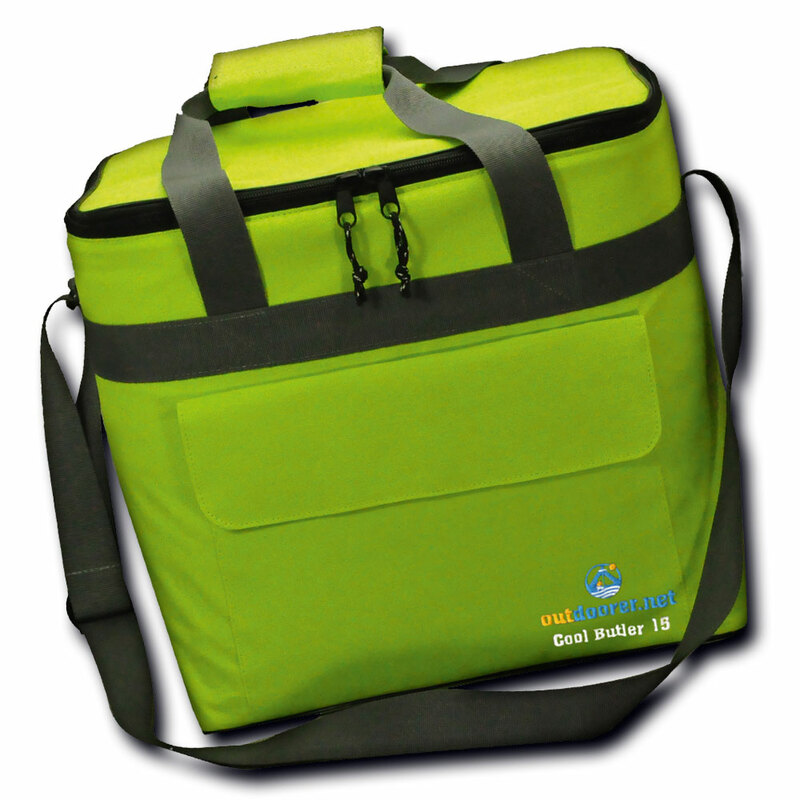 With a volume of 15 litres, the foldable cool bag Cool Butler 15 is great if you are looking for a smaller cool bag. Its 32 x 20 x 26 CM size means you can use it to transport large 1.5 litre bottles lying on their sides. The extremely compact 15 litre cool bag Cool Butler 15 from Outdoorer is 32 x 20 x 26 CM, which makes it the ideal travelling companion. You fit a daily ration of food and drink into it easily and comfortably. Large 1.5 litre bottles fit in the bag on their sides. When you no longer need the cool bag, it can be quickly folded away and stored in the cupboard. The foldable midi cool bag Cool Butler 15 can be ordered at Amazon. The Cool Butler 15 is ideal for any outdoor activity. If you are going on a trip, you can attach the small cool bag easily to a bicycle or motorbike and be supplied with refreshing drinks and a snack. The foldable cool bag Cool Butler 15 is also ideal for the beach. The foldable cool bag Cool Butler 15 delivers what it promises. Even on very hot days, when the temperature is over 30 degrees, everything will stay cool and fit for human consumption – for hour after hour. Therefore, the Cool Butler15 is the ideal replacement for a classic shopping bag. Frozen food and ice stays cold in this bag for longer than in the cheap insulated bags from the supermarket. Cheap handles quickly cut into the skin and become uncomfortable. With the foldable cool bag Cool Butler 15 this will not happen, because the handles are covered. For even more comfort you can carry the cool bag over your shoulder. The bottom edge is exposed when using heavy loads and has therefore been strengthened. So the foldable cool bag is very well protected against wear and tear. Outdoorer has also used a very good quality zip. Even with frequent opening, the running of the zip stays smooth. The foldable cool bag Cool Butler 15 has a small pocket on the front. This closes with Velcro and is embroidered with a small Outdoorer logo. This can be used to carry small items, like a corkscrew, safely. Where can you buy the cool bag Cool Butler 15? You can order your cool bag Cool Butler 15 at our Amazon store.